US Vogue’s exclusive backstage fashion photographer, Robert Fairer, opens up his archive for the first time, revealing stunning photographs that were, until now, one of fashion’s best-kept secrets. 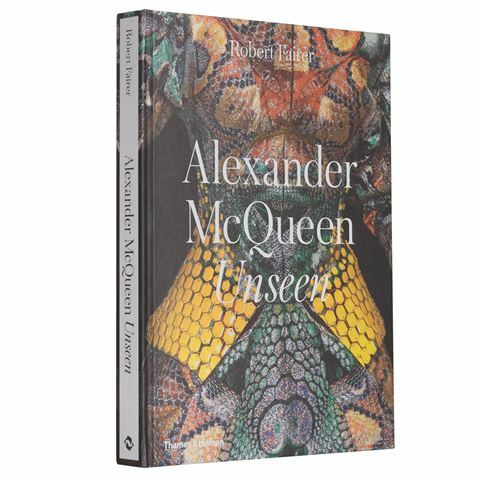 Tracing the late Alexander McQueen’s entire career from the 1990s to his final collection, Unseen celebrates the singular beauty of the designer’s creations and the intense behind-the-scenes work of McQueen’s trusted collaborators. Fairer’s high-energy photographs capture the glamour, grit and spirit that made McQueen’s flamboyant shows so special, and offer a unique insight into the work of one of the world’s most captivating fashion designers. The Preface is by Sally Singer (Creative Digital Director, Vogue) The Introduction and Collections Texts are by Claire Wilcox (Senior Curator of Fashion, Victoria and Albert Museum). This is a book for students of fashion, art and life. Never seen before backstage photographs by Robert Fairer. Preface by Vogue’s Sally Singer. Introduction by `Victoria and Albert’ fashion curator, Claire Wilcox. Beautifully presented on high quality stock. Dimensions: 25.5cm (l) x 34cm (h) x 3cm (w).